Guided walk of the Tóchar Phádraig takes place on Saturday, May 27, departing Ballintubber Abbey, Co Mayo at 8.30am. If you are presently in the process of completing your pilgrim passport this walk fulfills the requirements for obtaining the stamp for the Tochar. Registration as a Tóchar pilgrim is required before setting out. This costs €10. For further Information telephone: 094 903 0934 or email: info@ballintubberabbey.ie. Apr 17. Half Tóchar Walk to celebrate National Pilgrim Paths Week, departs Ballintubber Abbey, Co Mayo at 11 am and involves 15km. May 27; June 24; Reek Sunday, July 30; August 26. Each walk is 30km and departs Ballintubber Abbey at 8.30 am, Registration for the walk costs €10. A backup car will accompany the walkers in case anyone experiences difficulty. Contact 094-9030934 for more details. Next guided pilgrim walk of the Tóchar takes place on Saturday June 25th. This walk fulfills the requirements for obtaining the pilgrim stamp of the Tochar Phádraig for those completing the new Irish Pilgrim Passport. Registration as a Tóchar pilgrim is required before setting out. This costs €10. For further Information telephone: 094 903 0934 or email: info@ballintubberabbey.ie. List of other dates for fully guided walks of the Tóchar Phádraig in the coming summer. 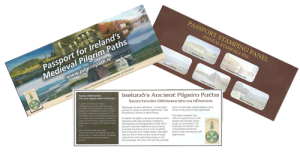 All the above walks provide an ideal opportunity to obtain a Tochar stamp for Ireland’s new Pilgrim Passport, which is available for sale from Ballintubber Abbey shop. 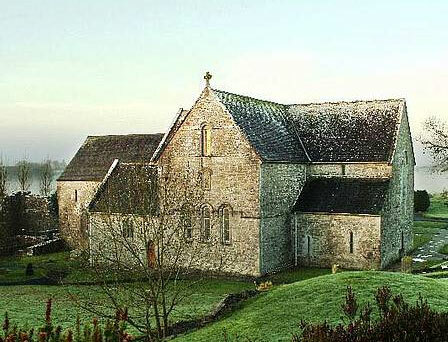 Each pilgrimage departs from Ballintubber Abbey, Claremorris, Co Mayo and consists of a 35km walk. Further Information: 00353 (0)94 903 0934 or book at: info@ballintubberabbey.ie. For updates please keep an eye on our Facebook Page. There will be a Half Tochar Walk (from Ballintubber Abbey to Aughagower) on Easter Monday departing the Abbey at 11am. On subsequent days during the week the second part of the Tochar (from Aughagower to Murrisk) can be arranged. Registration at the Abbey for all Tochar Walks.